I’m grateful to those of you who had time to comment on the first part of this post. 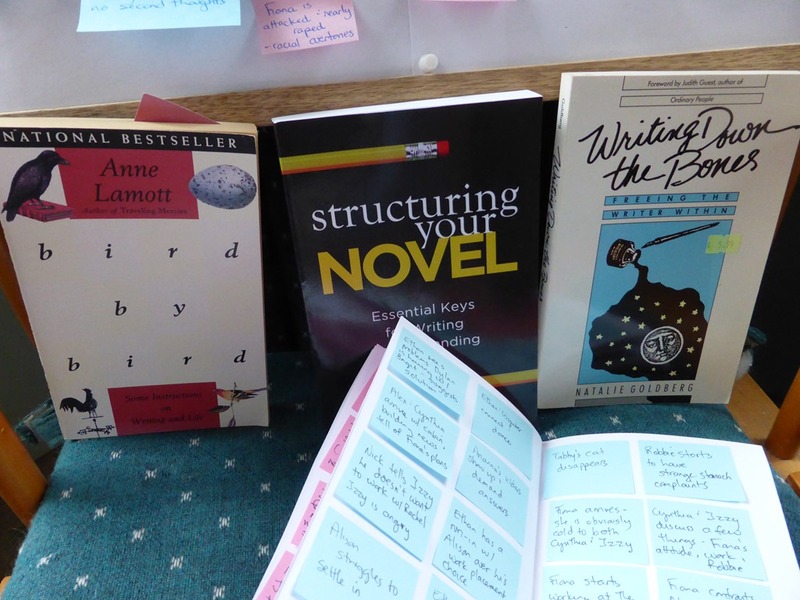 I read your thoughts, refined my own through my responses and kept right on with the tentative outlining of Chasing Down the Night – so many thoughts swirled around in my head as I flipped through books on structure and process. On Friday night a strange and wonderful thing happened. I’d put on a mixed playlist of mostly 80’s pop/rock tunes and was listening, enjoying while back at the laptop working on my daily note pages. Something shifted. The characters took over and my writing of maybe this could happen and what about this and maybe not that became people doing things and having full-blown conversations. I had crossed the Rubicon into actual writing. I came up for air when the two hour playlist ended feeling both exhausted and exhilarated. I’ve come to a conclusion about the time I spend on novel planning. Every resource tapped, every single page of notes, each character sketch, every drawing, chart, calendar, and post-it-note is vital – but never to be set in stone like a blueprint or ultimate guide. All the planning is a means of getting to that magical moment when everything shifts and I start writing. After that, all bets are off and everything is to play for. I have no idea what these characters are going to get up to in the weeks and pages ahead of us. And while that thought is a bit terrifying, it’s also the most exciting part of a writer’s life. I read a Maya Angelou quote this morning and it kept rolling around in my thoughts. I trust Ms. Angelou will forgive my bracketed insertion. She was, after all, intimately acquainted with being a woman who wrote. 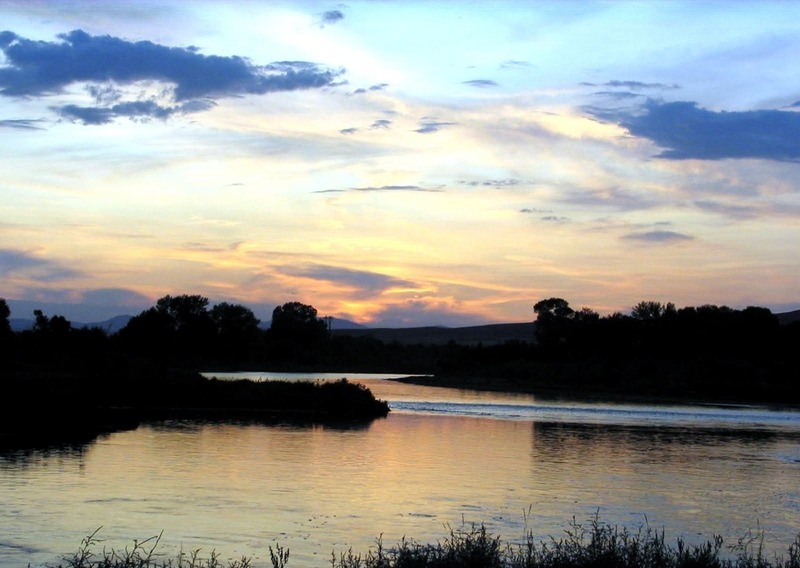 This entry was posted in Photography, Quotes, Reading, Teaching, Writing and tagged a river runs through it, magical moments in writing, Maya Angelou quote, to plan a novel or not to plan a novel, why I spend time planning to write. 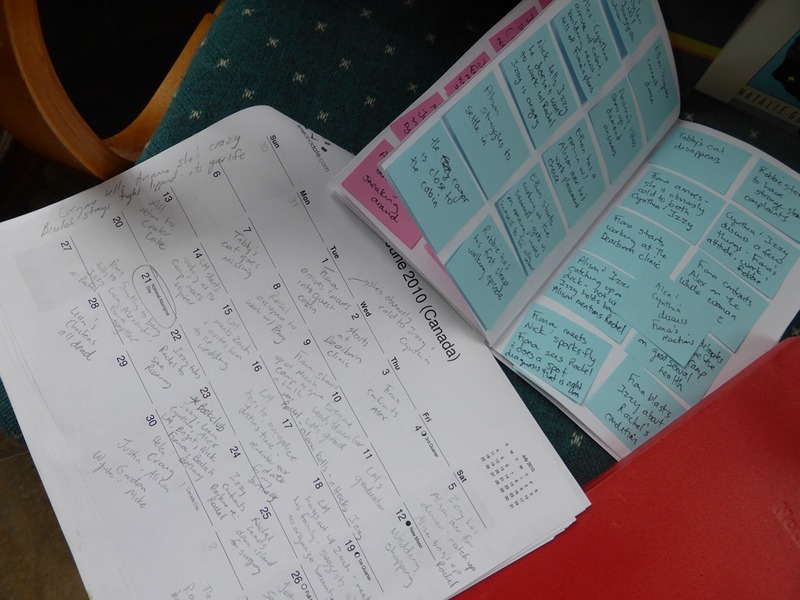 ← Story-Planning: Does it Justify the Time Spent? Right and write 🙂 Thanks, Clare. Good point about this wonderful creation we carry around in our heads – the brain. Having stuffed some sort of structure in there, it is possible to move on now and ignore it all. Sometimes you get an epiphany like that. It just happens that wau. Pretty awesome when it does – right? Gotta love those epiphany moments. Ah…Bird by Bird, one of my favorite craft books. The idea of a character playlist has intrigued me for a while. Right now, I confess to using music that evokes my emotions to get me going. I don’t know, though – these characters can get the upper hand on me so quickly. Maybe it’s not a good idea to give them their own playlist. Yes – Bird by Bird is a great book. I received your beautiful card today, Fran. Thank you for your kind words. I’m happy your book is on a book shelf in North Carolina too…but soon it will be in my hands! 🙂 Thanks again. It is exhilarating for sure, Dianne. The time spent poised on the edge of getting started at anything is so necessary but also quite nerve wracking. I commented in the first part of this post that it helps to have a framework in place before you start – major plot points hammered out, a general idea of character arc, etc., but I agree with what you wrote above — nothing is set in stone. Part of the joy of the writing process is having a road map to guide you, but also the freedom take a few excursions and invent along the way. Totally agree, Gwen. As Clare was saying in a comment above – this brain of ours has the remarkable capacity to store and recognize patterns. Once we impose any type of structure we can move forward confident that the plan is there if we need it but we don’t have to be tied to it – everything can change radically as the writing progresses. There is so much truth to the words – I don’t know what I know until I write it. Ergo – how can I really know what will come next? Oh goodness – what a iterative process it all is. Endlessly moving back and forth. Thanks, Gwen for your thoughtful comments on both these posts. The engagement and discussion is far more powerful than the mere writing of a post. 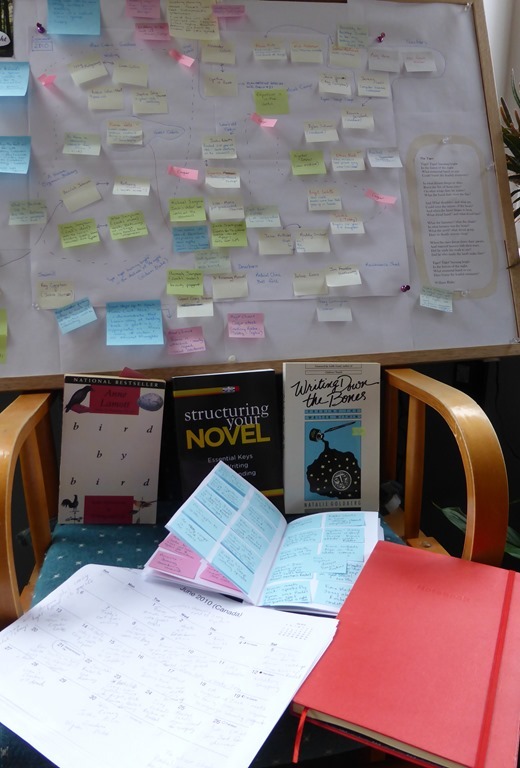 By the way, Fran – I love that you share pictures of your story board and outlining methods. It’s all food for thought. The engagement, discussion, and sharing are the best parts of blogging. Love this post. It solidifies everything I believe about the process. By the way, I’m on my phone and I may have accidentally unfollowed you…followed you right back though, in case you were wondering what happened…! Tiny, sensitive buttons and eager, clumsy fingers. Maybe I’ll try some music backdrop, see what happens. Maybe some Irish trad seeing that’s where I’m setting my present scribbling. Whatever gets the fingers flying 🙂 And Irish traditional should be on everyone’s playlist – right? Wait – I think I hear the faint strains of, “Will Ye Go Lassie, Will You.” I’ve got to go and cry a bucket or two. I’m not a planner as you are, Francis, but I’ve experienced what you did. I’m more of a “prewriter” where I read and read on my subject and then suddenly I’m ready to tell the story. I believe above all else that the magic occurs when we find the way that works for us. It’s been very interesting to read about your process. Thanks, Patricia. As you say, whatever it takes to get us to that magic moment. We just need to get there and keep getting there. Oh, surf the wave! I love that feeling and the quote. Happy writing! Oh, Jackie – here’s me laying out on that board paddling for my life. Just want to be in position when that perfect wave comes along then I’ll ride it all the way home. I love that moment when the story takes hold! One of the best, for sure. And one that has to sustain a writer through many a down-in-the-dumps moments.